Award-winning conversion, rich and detailed mic preamps, ergonomic and visually stunning design: the Duet 2 2X4 computer interface will turn any Mac computer (or iPad!) into a full-fledged recording powerhouse. 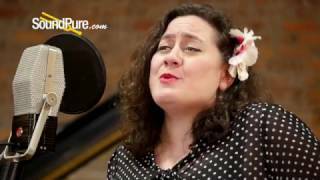 In this video, Sound Pure pro audio specialist Travis Hall discusses the many benefits of the AEA R44 ribbon microphone, and we hear samples of the R44CXE in action on vocals, with a special guest performance featuring Dennis Aberle (guitar) and Alejandra Juno (vocals). Taken from Apogee's video description, "When it came time to add music to the Apogee Duet 2 launch video, I asked Jingle Punks to write it. When initially talking to Jingle Punks, we discussed the idea of sending the track to us and recording live drums at Berkeley St. Studio. When they finished writing an amazing track, they sent it from the Jingle Punks studio in New York to the Berkeley St. studio in Santa Monica, so that live drums could be recorded using Duet 2. The drummer I asked to play on the track is an excellent drummer out of Los Angeles named Brian Zarlenga, and the engineer was non other than Bob Clearmountain. Both Brian and Bob were very excited to work on the song and be part of the Duet 2 launch. I then, however, mentioned to Bob that I really wanted the drums to be recorded with only Duet 2 and with only 2 microphones. No external mic pre amps, mixer, etc. Just two microphones into Duet 2, connected to a Mac Book Pro, and recorded into Logic. I thought for sure he would kick me out of his studio and would never allow me back in again. 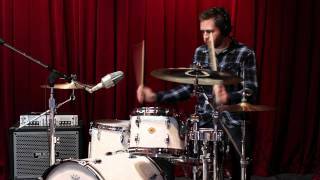 But, being the true pro that he is, he was up for it.Here is a great behind the scenes video of Bob Clearmountain recording drums with Duet 2 and only two microphones." Apogee's Duet is the most respected portable audio interface ever. Duet has won numerous industry awards, and has been used to record countless GRAMMY nominated records. While others have been trying to emulate its sound quality, ease of use and innovative design, we have been busy making an even better Duet. Duet 2 builds on the incredible success of its predecessor by incorporating customer feedback, adding advanced new features and delivering even better sound quality than the original. The most respected portable audio interface ever. 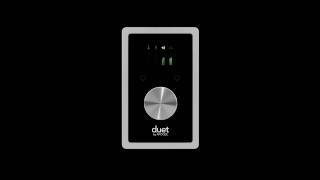 Why Apogee Duet is the best choice for your studio. ♦ Designed in California - Made in the U.S.A.
Apple’s iPad is an incredible audio recording and music creation tool. Starting at $399, it is by far the most accessible, reliable and dynamic way to make music. iPad puts you in touch with your creativity. Buy Apogee. Save Big on Waves Plugins! Apogee was founded in 1985 and initially made its name designing filters. Later, Apogee's complete conversion systems pushed the envelope of digital audio quality and solved many of the early problems with digital audio technology. Apogee converters have become regarded as the reference standard for digital audio conversion. Products such as the award-winning Rosetta 800, AD16x and DA16x have become the modern benchmark by which digital audio conversion is judged. A new generation of Apogee products including the revolutionary Symphony I/O, with its modular design and flexible connectivity, promise to extend the Apogee legacy and further advance the art of digital audio.